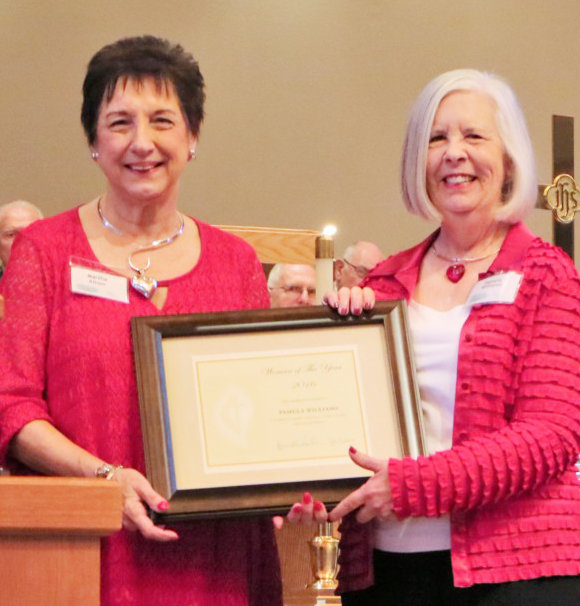 Marilyn is a fierce prayer warrior and servant for Christ of the Hills United Methodist Women. She has served as Secretary of the UMW Board and has been the co-leader of Martha Circle for over eight years. 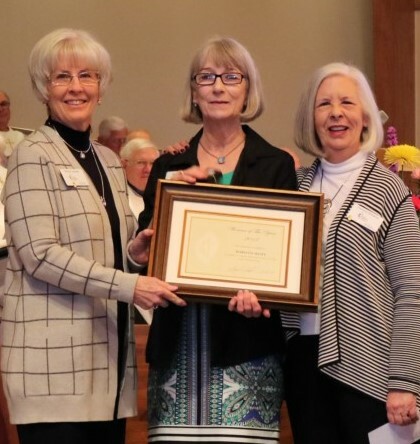 She gives of her time and talents, and is a wealth of knowledge regarding the United Methodist Church as well as United Methodist Women which she has gained from being a third generation Methodist woman. Because of her love for the UMW she works tirelessly and unobtrusively to help facilitate all her circle's work, special projects, UMW yearbook, garage sales, and other events. 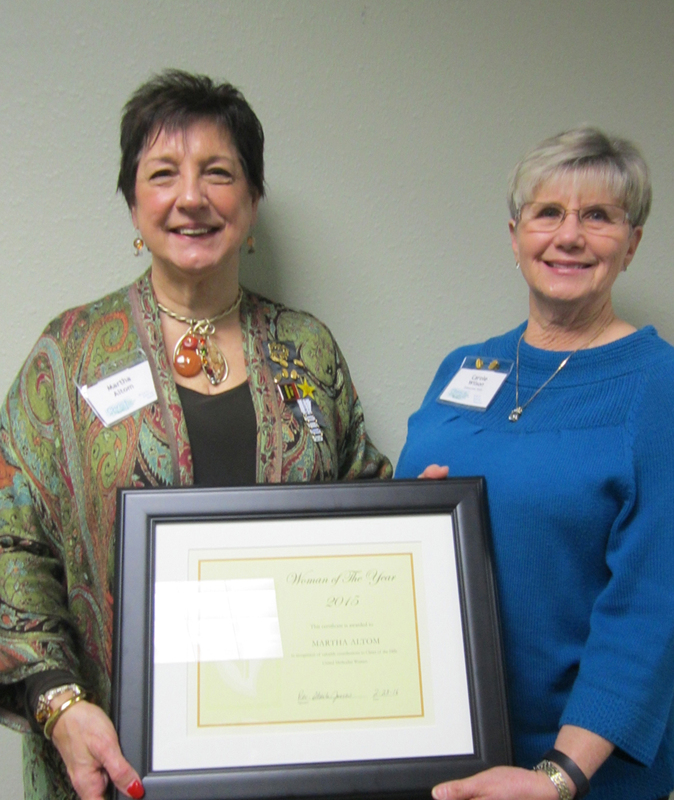 Congratulations to Marilyn on a well-deserved recognition. 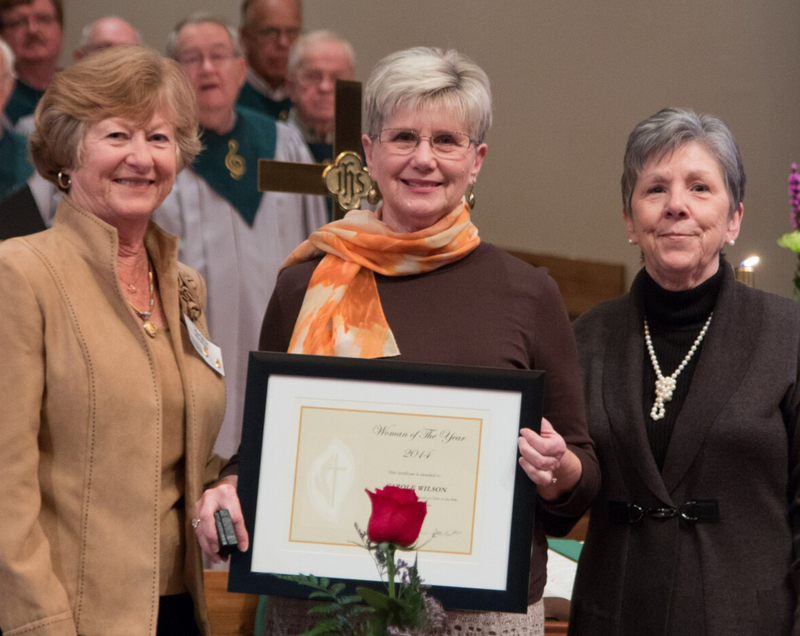 UMW President Rickey Jiranek (left) and 2016 Woman of the Year Pamela Williams present the 2017 award to Marilyn Hunt.